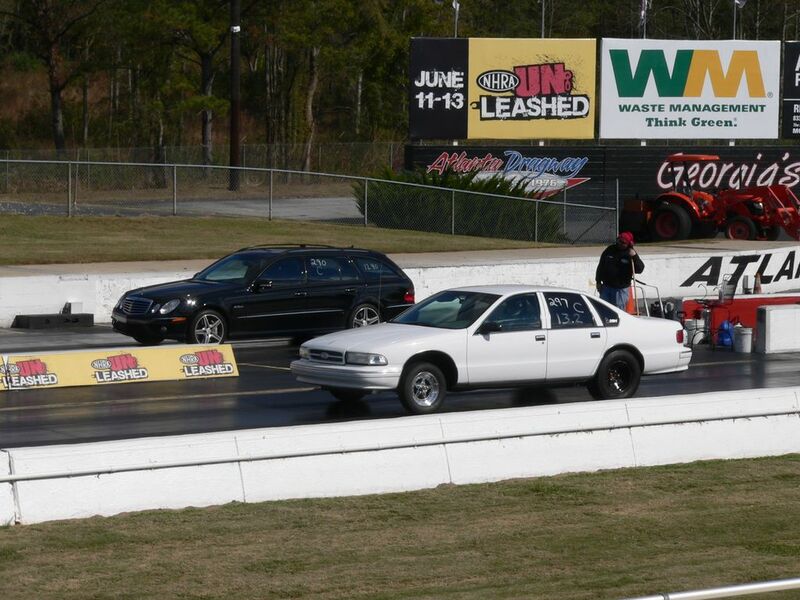 Good time at Atlanta Dragway, 10th annual gathering known as the Southern Super Heavy(weight) Shootout. Cars over 4000 pounds (with driver), mostly Impalas, Marauders, and Crown Vics, but a few full size imports, SUVs, and trucks joined in as well. There were even a few newer Caddy, G8, and Challengers.